I am truly hoping that i will be easily able to access the wi fi in the building in jaipur. making it easy to do this blog spot. i have been to my friend, lynda, for lessons. needs lots of practise on my part. 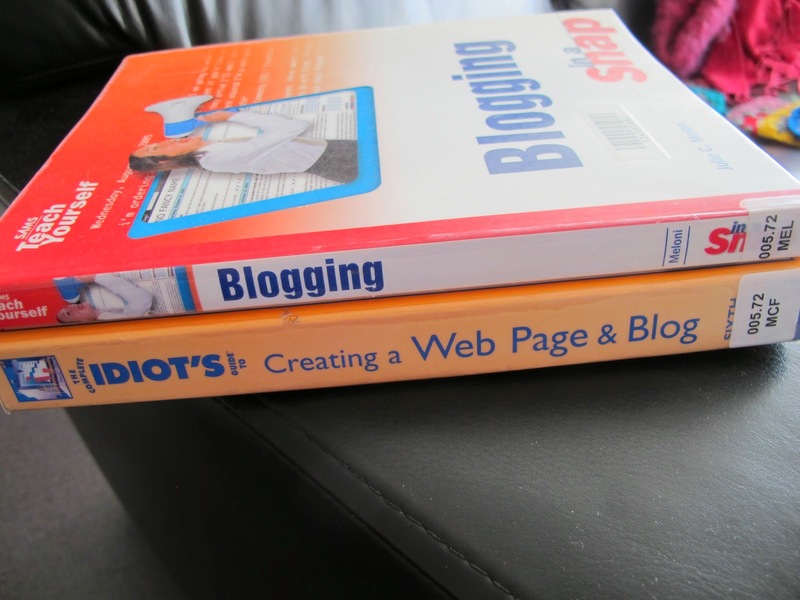 ﻿as well as lyndas help, i need 'THE IDIOT'S GUIDE' to blogging. have i read it yet. NOOOO. what i have discovered already, it that there is a vast differance from windows 8 and my windows jp. i am wanting to upgrade, but there is a reason for the delay. 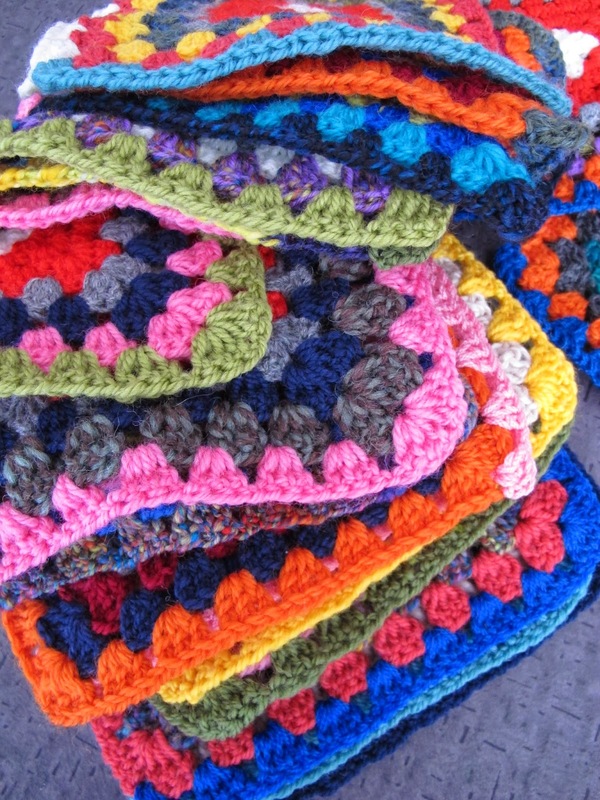 as well as lessons on blog spot, i took up my current crochet project for lynda's advice. these are some of the 50 blocks that are a work in progress. ﻿these blocks have a story. the small blocks , top, centre, my grandmother made 50 many years ago. i was given these when she passed away, and they have been sitting in my craft room since then. as it is winter here, i was looking for something to do at night. i decided that the original size was too small, so got out my pure wool and have added 3 rows.photo on right. 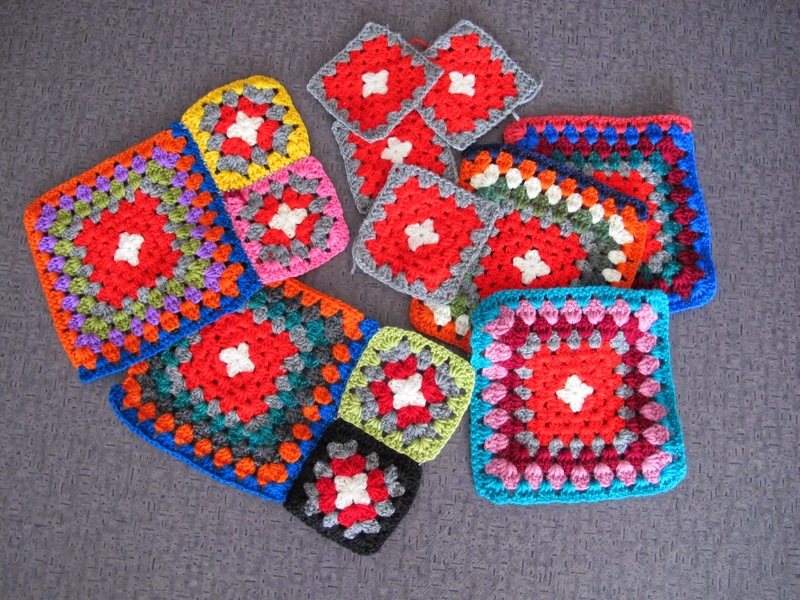 decided that a few smaller blocks may take it from GRANNY to MODERN GRANNY. still crocheting and joing blocks. maybe at the end of this winter, this rug may be finished. I have been living in Australia, all my life &; now I am going to live in India for part of the year. I have been to India many times, in 2011,my life changed dramatically & i was needing direction in my life. I will be based in Jaipur. Looking forward to many adventures. Come along with me! Enjoy my journey.